Royalty-free stock illustration of a little girl with blue eyes, blonde hair and a ponytail, doing the Macarena dance. She is wearing a cute little orange dress and a red bandana. 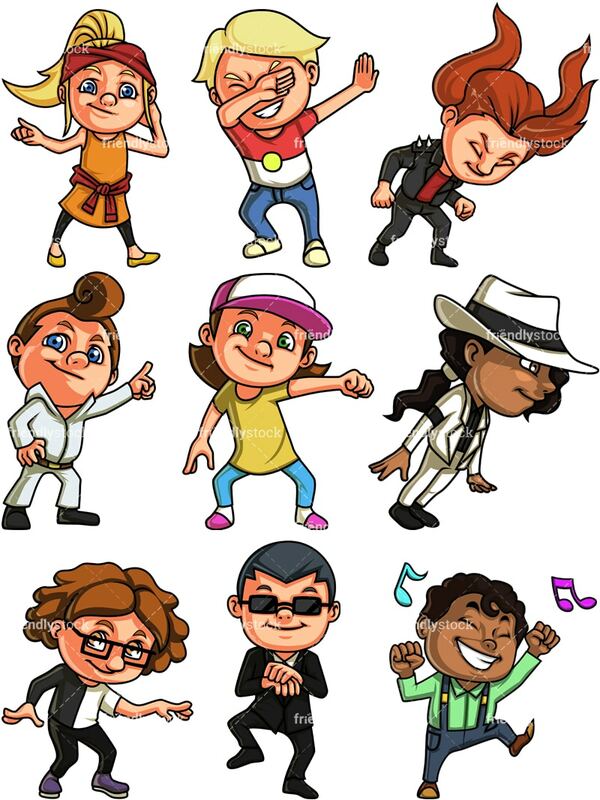 Royalty-free stock illustration of a little boy with brown hair and blue eyes, dressed like Elvis Presley and making some dance moves from the 60s. 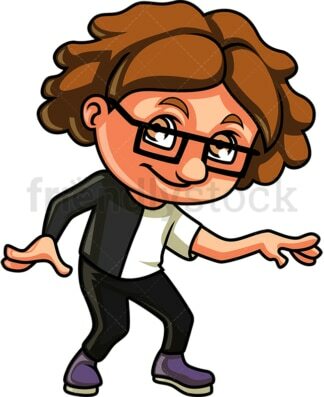 Royalty-free stock illustration of a nerdy little boy with brown hair, wearing glasses, and doing the twist dance. Royalty-free stock illustration of a blond little boy dressed with a half-red, half-white t-shirt and blue jeans, swinging his arms and covering his eyes to do the dab. Royalty-free stock illustration of a cute little girl with brown hair and green eyes, doing the watch me whip (nae nae) dance. She is wearing a baseball cap hat, a casual t-shirt and jeans. 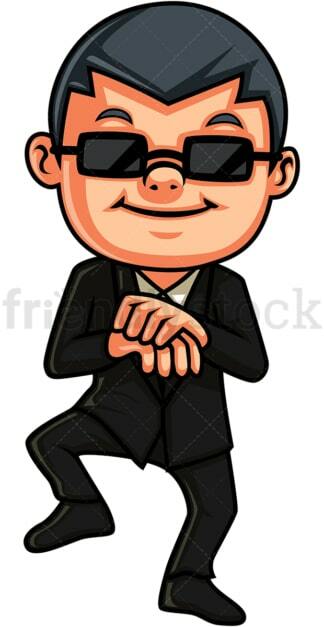 Royalty-free stock illustration of a little boy with dark hair, wearing sunglasses and doing the Gangnam style dance. Royalty-free stock illustration of a little girl with red hair dancing to heavy metal music (head banging). 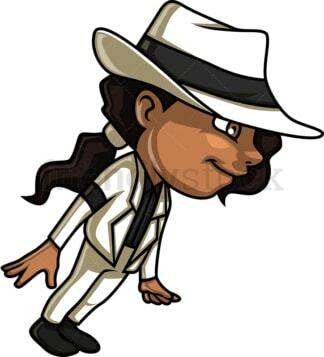 Royalty-free stock illustration of an African-American little girl with dark curly hair, brown eyes and a low ponytail, doing the king of pop’s signature anti gravity lean dance move. She is wearing a white suit and a round hat. 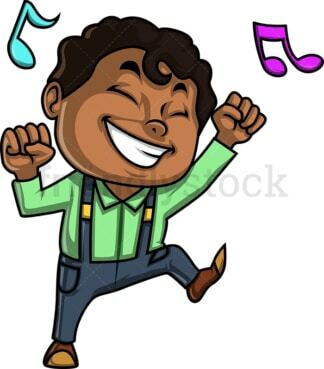 Royalty-free stock illustration of an African-American little boy with dark curly hair, wearing a green t-shirt and a green t-shirt, doing a dance while listening to music.